Veterans Day holds significant meaning in our family. My father was in the Air Force, and my grandfather served in the Army during World War II. In fact, he met and married my grandmother, who served in the English Army, in Great Britain during the war. So essentially, without that time spent in the service, I wouldn’t be here. My husband and I wanted to share the meaning of Veterans Day with our two children beyond just a single day of ceremonies and songs, so we decided to trek with our kids to some of the military museums across the commonwealth. 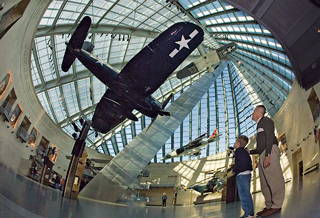 Virginia has military museums of all sizes to commemorate various areas of the Armed Forces, from transportation, to war battles, to women’s contributions to military service. Each museum was unique – and sure, at ages ten and eight, my kids were wide-eyed and mesmerized by all the tanks, Jeeps, and helicopters. But along the way, all four of us took in a wealth of information, which led to a true appreciation for the sacrifices made by our veterans throughout history. Consider visiting one of these museums with your family and you might learn something new as well. One thing is for certain: You’ll gain a greater appreciation for our history and what our servicemen and women have done and continue to do every day in service to this great nation. 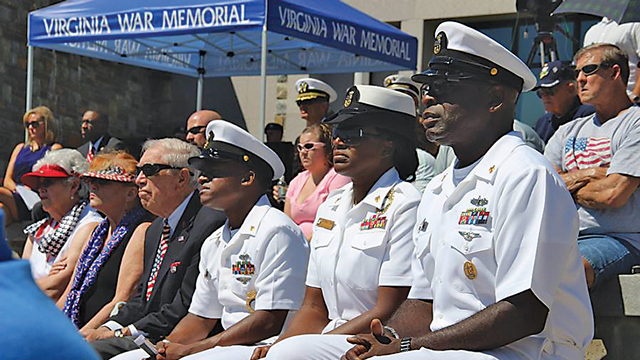 In the heart of Richmond, the Virginia War Memorial is dedicated to honoring nearly 12,000 Virginians in the Armed Forces who died serving our country from World War II through the Persian Gulf War as well as the Global War on Terrorism. In addition to the Shrine of Memory, which lists the names of Virginia’s heroes on its stone and glass walls, the Virginia War Memorial has a separate building, the Paul and Phyllis Galati Education Center, which has exhibit halls, theatres, classrooms and conference rooms, a research library, and a gift shop. Showcased at the center are a CIA exhibit and displays of weapons, flags, quilts, uniforms, and other artifacts collected from the soils of battlefields and overseas cemeteries where Americans are buried. The center also has an exhibit featuring correspondence ranging from telegrams to emails written to and by Virginia soldiers as well as 7,000 detailed and historically correct military miniature replicas of soldiers in various battles. Specially designed educational programs serve schools from around the state. Guided facility tours are available, as well as access to documentary footage produced by the memorial to preserve the precious memories of our veterans. This month, a temporary exhibit honoring WWI veterans from award-winning photographer Dean Hoffmeyer is on display. The memorial’s hillside amphitheater is a spectacular venue for tributes and ceremonies and offers a stunning view of the James River. And another thing: In honor of Veterans Day, the memorial is accepting damaged and soiled American flags, November 6 through 15. The flags are disposed of at an American Legion post and the Legion members conduct the ceremony. Families of little ones who love vehicles (like mine!) will enjoy a visit to this museum in Danville. The museum features 120 tanks and large artillery from around the world as well as 30,000 artifacts in three large exhibit halls. Worth a look are the German and Russian tanks from WWII, Iraqi tanks captured by American troops during Operation Desert Storm, a rare Swedish tank, as well as the museum’s oldest tank, which dates from World War I in 1918. Most of the tanks are hands off for visitors, though the museum does have some interactive displays, including an armored personal cruiser, an anti-aircraft gun used to shoot down planes, and a little mule tank. Certain times throughout the year, guests can also stop in for a remote control tank battle on the RC tank battlefield. 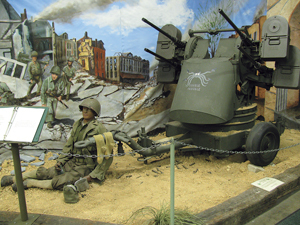 AAF Tank Museum’s walls are adorned with various war memorabilia, including patches, pillowcases, flags, photos, medals, and other artifacts. There are also rooms full of rifles and other weaponry, military uniforms, instruments, and a unique collection of international military headgear. Pop historians and the star-struck will get a kick out of an exhibit dedicated to Elvis Presley, who served in the U.S. Army, as well as an exhibit featuring Marilyn Monroe, who entertained troops during the fifties and sixties. Meanwhile, toy enthusiasts and young visitors will appreciate the museum’s collection of military Barbie dolls and G.I. Joe action figures. And another thing: Close by is the Danville Science Center, which you may also wish to visit either before or after your trip to the tank museum. The National Museum of the Marine Corps near Quantico and Washington, D.C., is dedicated to the history of the United States Marines. The museum has a few airplanes, helicopters, and tanks on display, but its main focus is a timeline gallery of the Marines’ involvement in conflicts and wars throughout history. Younger children can learn about the Marines as well, thanks to hands-on activities and gallery hunts featuring the museum’s bulldog mascot, Chesty. My kids had a blast trying on replica Civil War uniforms. Music lovers will appreciate the exhibit on composer and conductor John Philip Sousa, who was director of the Marine band from 1880 to 1892 and renowned for his military and patriotic marches. The display showcases Sousa’s actual clarinet, drum, violin, and other instruments. Meanwhile, movie lovers will enjoy seeing an actual Academy Award Oscar trophy, which the Marines won back in 1944 for the documentary, Marines at Tarawa. History buffs will be in awe of the exhibit of the Battle of Iwo Jima, which includes the actual American flag from the famous photograph of the battle, as well as a piece of the Pentagon and the World Trade Center from the September 11 attacks. Plans to expand this museum include adding a gallery dedicated solely to 9/11 as well as a Children’s Gallery to enhance the family experience. And another thing: The National Museum of the Marine Corps has two restaurants on the second level, so plan on lunch with the family after your visit. 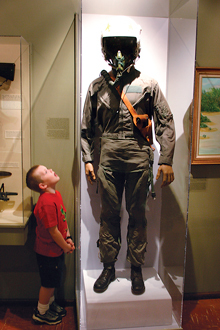 The Virginia War Museum in Newport News houses numerous artifacts from major wars throughout history. My children enjoyed seeing everyday historical items they could relate to, such as coins and a toothbrush from the War of 1812; a comb, playing cards, and eating utensils from the Civil War; and a radio, compass, postcards, and sandals that belonged to soldiers from WWII. This museum features quite a collection of uniforms, vehicles, weaponry, newspapers, posters, and memorabilia from ten wars total. Also fascinating to see was a letter from George Washington, written during the American Revolution, as well as a large piece of the Berlin Wall. The Virginia War Museum is perfect for older elementary school children and middle school students who are learning about history. And another thing: Virginia War Museum is located within Huntington Park in Newport News. The park features the Ft. Fun playground, a beach, and a seafood restaurant along the James River, so plan to stay and play after your visit to the museum. Boys and girls of all ages who have a fascination with transportation and vehicles will want to spend hours exploring this museum. The U.S. Army Transportation Museum, located on the grounds of Fort Eustis in Newport News, features various planes, trains, automobiles, and wagons dating as far back as the Colonial era. Its indoor collection includes a duck boat, a medical helicopter from the Korean War, a Huey helicopter from the Vietnam War, an Army snowmobile, and a jetpack prototype as well as a flying platform prototype called The De Lackner Aerocycle. Here, kids can also peek inside a helicopter cockpit. My children appreciated the artifacts from modern conflicts such as Desert Storm: a Saudi Arabian Pepsi can, a special set of baseball cards made for the U.S. troops, and several patches. A new exhibit is planned for highlighting conflicts in Haiti and Somalia from the 1990s, and will feature the famous rice bags the American military dropped in Somalia. The museum has an impressive outdoor collection of locomotives, Jeeps, helicopters, airplanes, and boats. Be sure to check out the hovercraft, the air car, the amphibious resupply cargo barge from the Korean War, and, for Star Wars fans, the museum also has a futuristic cybernetic walker on display. Don’t forget to bring your ID to get on base. And another thing: The U.S. Army Transportation Museum is just down the street from Newport News Park, the second largest city park in the country, so bring a picnic lunch and enjoy the park’s playgrounds and hiking trails after your museum visit. Nauticus, the maritime museum in downtown Norfolk, is home to both the Hampton Roads Naval Museum and the Battleship Wisconsin. 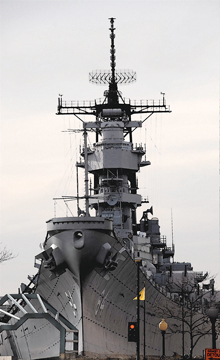 The USS Wisconsin battleship was used during WWII and is now permanently on display here. Families can take a self-guided tour of this battleship, one of the largest and last-ever built by the Navy. Explore the deck and interior of the ship at your leisure, or, for an additional charge, a tour guide will take you back in time to experience the ship as it was during the war. To enhance your experience even further, Nauticus offers an overnight program on the Battleship Wisconsin, where guests have the opportunity to sleep just like the sailors once did. The Navy also owns and operates the Hampton Roads Naval Museum on level two of Nauticus. Here, you will find a collection of uniforms, weaponry, articles, images, photographs, and paintings as well as other underwater artifacts dedicated to the history of the U.S. Navy. Nauticus is located along the waterfront in Norfolk, so enjoy a stroll and a picnic lunch in Town Point Park right next door or grab a bite to eat at MacArthur Center or one of the nearby restaurants. And another thing: Your Science Museum of Virginia membership means you get into Nauticus free. The two museums participate in the popular ASTC Travel Passport Program. With our tour complete, the family concurred: One of the most fascinating military museums you will ever visit is the Military Aviation Museum in Virginia Beach. It’s one of the city’s top tourist attractions for a reason. 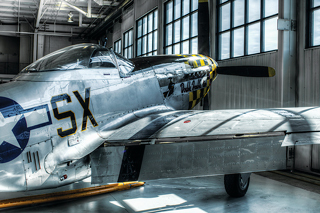 The museum, which opened nine years ago, is privately owned and operated, and features an impressive collection of war aircraft, including one of the largest collections in the world of World War II airplanes that can still fly. The Navy hangar houses mostly British planes from 1911 to 1961, as well as a flying boat called the Catalina, and other aircraft maintained by women during various wars. Also on display is a Wright Brothers plane, a replica of the first plane to fly across the country from east to west, and an Avenger, similar to the airplane in which former President George H.W. Bush was shot down in during WWII. The Military Aviation Museum also has an Army hangar, and a WWI hangar with unique, original, and replica airplanes, including the first plane to fly across the English Channel. Most of the aircraft in this hangar are manual propeller startups, which is quite interesting to take in. Also on site is the Cottbus Hangar, an authentic German Luftwaffe hangar relocated from Cottbus, Germany. Here, you can take in the sights of various German Nazi planes from WWII, and see the bullet holes on the hangar doors from the war. Upstairs in the museum, you will find an exhibit on international uniforms as well as women of military aviation. Airplane rides in authentic WWII airplanes are available, and the museum hosts two annual air shows. Next articleWhat Mom Learned in Driver’s Ed!